Cox's Bazar is a town known for its beaches. It is also known as tourist capital of Bangladesh. Every year thousands of tourist travel to Bangladesh to visit Cox`s Bazar. It is located 150 km south of Chittagong. Cox's Bazar is connected both by air and road from Dhaka and Chittagong.It is world’s longest natural sea beach. Its golden sands appeal the tourist so much. Cox`s Bazar is also known by name Panowa means “yellow flower”. Cox's Bazar is one of the most famous tourist destinations. Here you can see alluring Buddhist temples, pagodas and many more things to enjoy. The beach is stunning for taking sunbathing. The surfing waves attract lot of tourist towards itself. The local people are very humble and helpful. They guide you properly if you need their help. The best part of this beach is watching sunrise and sunset. The angelic beauty can be observed during the sunrise and sunset time. You can have favorable relaxed vacation here. The main rivers flowing through Cox's Bazar in Bangladesh include bakkhali, matamuhuri, Naf, Maheshkhali channel, Kutubdia channel and Reju Khal. 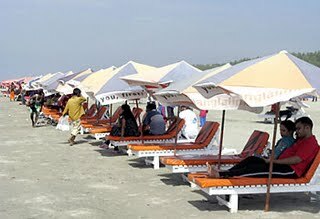 Cox`s Bazar is the place where you can have all fun includes enjoying sea beach activities like sunbathing, catching fish, enjoy the scenery, can view conch shells, tribal handicraft which are made by local people,handmade cigars, delightful seafood, the most famous dry fish of Cox`s Bazar called Shutki can buy from here. Cox`s Bazar is surely Bangladesh ultimate destination.Its immense beauty, vibrant culture and travel spots makes it popular among the tourists. Best Time To Visit- The best season to visit Cox`s Bazar is from September to February. Laboni Beach: It is the main beach of Cox`s Bazar. It is mostly crowded. Enani Beach: This beach is famous for golden sand and ideal place for sunbathing. It is about 32 km south of Cox`s Bazar. 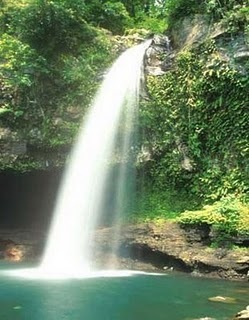 Himchari: Famous for picnic spot with its beautiful waterfalls. The top attractions includes broken hills, Christmas tree, Himchari National Park etc. Ramu: Here you can see p agodas, monasteries which contain the images of Buddha in Gold and other metals as well. Ramu is a typical Buddhist village. This place has its own charm. The most famous is the large bronze statue of Buddha measuring thirteen feet high and rests on a six feet high pedestal. The Buddhist Monastery of Aggmeda Khyang is a major tourist spot. It is near the entrance of the town. A number of bronze Buddha statues found here. Maheskhali: It has an area of 268 square kilometers. It is a small island. The island surrounded by panoramic beauty. The island is surrounded by mangrove jungle. The Adinath temple can be seen on the hills of the coast. A good snapshot of the beautiful and scenic place of Bangladesh "the cox's bazaar". A good travel option for enjoyable holidays near sea and sand. Hope to go there soon. 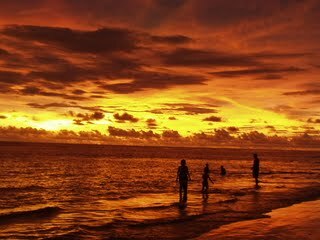 I knew Cox's Bazar last year and it's really cool! I recomend! !